A new scheme rolled out across Wales, which is looking to change the way people think, talk and act about dementia, has been backed by TV star Ruth Jones. The Gavin and Stacey star, whose mother-in-law had dementia, has supported the Dementia Friends programme which is teaching people to recognise the signs of the illness and how to help those with it. This can include discussions about looking for specialist dementia care homes in Oxford or other parts of the UK, as well as other ways in which family members can help their relatives with dementia. 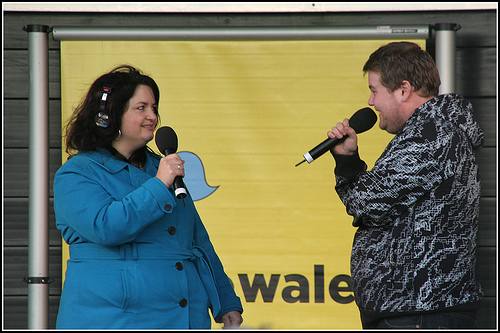 Ruth Jones recently came out and said the programme would help to tackle the stigma that surrounds the illness as well as helping the estimated 45,000 people who are currently living with dementia in Wales. The Dementia Friends programme will be running one-hour sessions across Wales and participants will then be asked to help someone in their community. This could be something as easy as sharing information about dementia on social media sites such as Twitter and Facebook. Following a study in Wales, which found that just 46% of people in Wales felt they had a good understanding of dementia, the Dementia Friends Programme from the Alzheimer’s Society decided to launch this new scheme. Part of the sessions will look at what the actual disease is and how it affects people’s problem-solving abilities, language and thinking. The sessions will also discuss how dementia is caused and how the disease gradually worsens, along with what the best things for families to do is.